Locality: United States, Florida, Alachua, United States: Florida: Alachua County. Devil's Millhopper Geological State Park, Zone DM-3. Along fence, creeping into the park from neighbor's yard. Upland mixed forest. Herb. 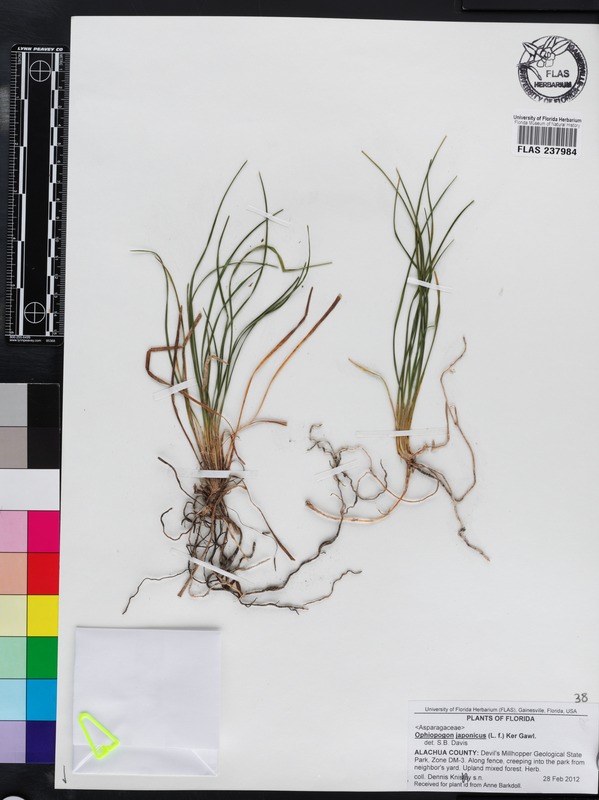 Occurrence Remarks: [Label note:] Received for plant id from Anne Barkdoll.